PESHAWAR: A 19-month-old boy has been diagnosed with the polio disease in Charsadda district of Khyber Pakhtunkhwa, the Emergency Operations Centre (EOC) for Polio Eradication confirmed. The officials at the Emergency Response Centre of the Health Department also confirmed that the teenager was tested positive for the polio virus in Tehbana village of the district. “This is the first polio case detected in the province this year,” they said. However, the teenager has been protected from life-long paralysis and death because of the vaccinations he has received under the Sehat Muhafiz campaign. According to medical records, the boy has received all three essential immunization doses of the polio vaccine (IPV) and more than seven doses of the Oral Polio Vaccine (OPV) which boosted his immunity and protected him from a life-long paralysis. Fortunately, the boy diagnosed with the virus was administered the anti-polio vaccine earlier due to which it was determined that he will remain safe from physical deformities and will be able to lead a normal life, read a statement issued by the Health Department. 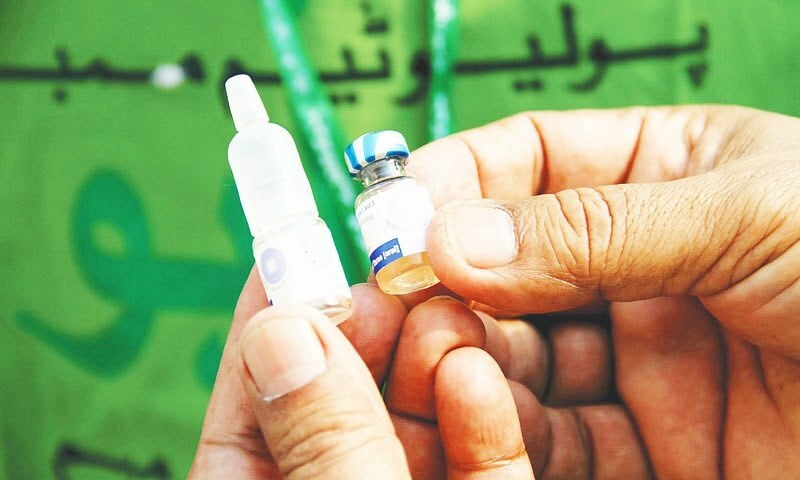 Abid Wazir said that the boy’s parents were worthy of praise for cooperating with the centre’s polio teams during their vaccination drive due to which the boy was spared the crippling consequences of the disease which otherwise leaves children handicapped for life. In 2017, only one case of polio was reported in the province from the Lakki Marwat district. No case was reported in 2017 from Peshawar, according to the Emergency Operation Centre. This year’s polio vaccination drive will commence on September 24 throughout the province. The Health Department has formed 16,000 teams to administer drops to 5.7 million children in their efforts to eradicate polio. Due to highly sensitive surveillance system of the polio campaign, the case was detected, Abid Wazir said, appreciating the hard work and commitment of the teams under the leadership of the government for reaching every child. He said that the wild poliovirus was circulating in Peshawar as evidenced from the detection of the same in sewage water, adding that the virus can travel from Peshawar to any part of the province or the country or even outside Pakistan. Giving example, he explained that historically the programme has observed multiple occasions where virus from one country was exported to other countries or even continents.